Senior leaders within the ANC are placing their trust on the integrity commission's might to remove delinquent candidates from its national and provincial lists. The integrity commission, which investigates those who bring the party into disrepute, has, however, been viewed as being powerless in the face of recalcitrant officials, some of whom have ignored its recommendations or refused to appear before it. It also has limited powers. The move to assess the list follows a decision by the national executive committee (NEC) to send its entire list of candidates to the commission for review. 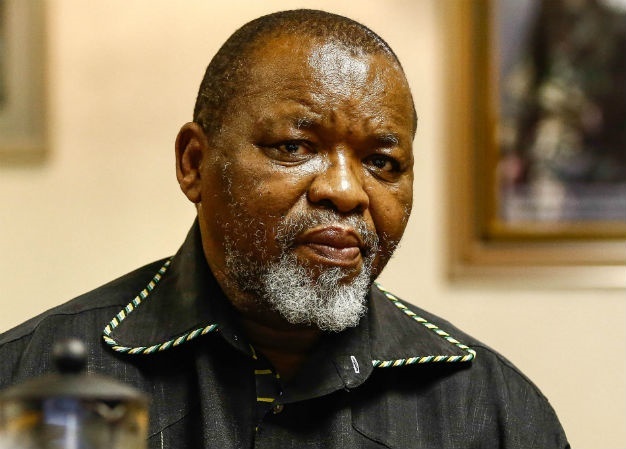 ANC chairperson Gwede Mantashe told News24 on Wednesday the commission will make the final ruling on who should step down. On the heels of the NEC decision, the Electoral Commission of South Africa (IEC) has received an objection to 30 ANC candidates listed on the party's parliamentary and provincial legislative lists. The list includes Mantashe, he confirmed to News24. IEC boss Sy Mamabolo confirmed the body had received 53 objections against all registered, but would not reveal specific details of any of these until they had been adjudicated. Mantashe said one of the objections raised against him was due to his work as Minerals Resources minister in Xolobeni in the Eastern Cape. In November last year, the North Gauteng High Court ruled in favour of the Xolobeni community who are against the mining of titanium by an Australian company Transworld Energy and Mineral Resources (TEM) . "One of the reasons for the objection against me is because of my work in Xolobeni. Mining is dirty, it's dangerous, it's difficult ... If I don't want to offend people; I must give up being in the mining sector," he said. One ANC insider within the NEC told News24 they were counting on the integrity commission to remove those found wanting, including several high-profile members who were found to have broken the law or are linked to state capture, including Bathabile Dlamini, Malusi Gigaba, Mosebenzi Zwane and Nomvula Mokonyane. "We must be seen to be united. This is important to the organisation. However, we recognise that we have individuals who are not equal to the task. It's up to the commission to do this work for us," the NEC member said. The source said the party was also counting on the IEC's vetting process to remove the party's "rotten apples". Another senior insider said certain individuals had even gone on a "go-slow" during the election campaigning period because they were "nervous" about Cabinet positions. "We are dealing with what we have come to term as sins of incumbency. There are those who were very active in the 2014 and 2016 elections who have suddenly vanished on a go-slow. Individuals are nervous because some join the ANC for individual gain." "What the ANC will not do is to behave as if it's an organisation of angels because it is not; it's an organisation of human beings. What is demanded of the ANC is for the ANC to act out of the framework of the law. Once it does that it will be dog eat dog which is a feature of what you see happening around the list process." Mantashe added the IEC should deal with those who have court judgments against them. "If there is a verdict of the Constitutional Court against an individual, even if the ANC does not want to test these people, the IEC has a responsibility to deal with the verdict." While the ANC defended its controversial national list - which includes Mokonyane, Dlamini, Zwane and Gigaba - the IEC is yet to complete its own vetting process.